Reporter. Cross-border investigations, covering the World Bank, CKDu, global freedom of the press. Chupacabra enthusiast. Internal watchdog finds link between World Bank financing and Ethiopian government's mass resettlement of indigenous group. After losing hundreds of millions of dollars in foreign health aid, Uganda remains hampered by corruption in efforts to combat malaria and other diseases that kill children. Can inhaling a gas save children from malaria? An experimental new treatment shows promise in fighting cerebral malaria in Uganda. International donors yanked 90 percent of Uganda's aid money for the 2013-2014 fiscal year. How will this affect the battle against Malaria, the country's leading cause of death? 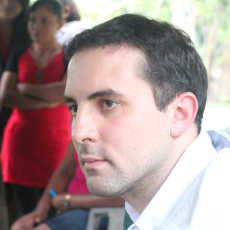 GlobalPost correspondent Sasha Chavkin heads to Uganda to investigate.